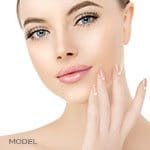 MilfordMD Cosmetic Dermatology Surgery & Laser Center, in Milford, Penn., is offering several specials through mid-October on injectable filler treatments to rejuvenate or volumize the eyes, face, jawline, décolleté and hands. Savings are 40% to 50%. For limited time, Fall savings between 40% and 50% at MilfordMD on injectable filler treatments to rejuvenate the body parts that show in warmer clothes: the eyes, face, jawline, décolleté, and hands! Consumer demand for dermal filler treatments is on the rise, according to the latest statistics by the American Society of Plastic Surgeons (ASPS). ASPS member surgeons performed 2.7 million soft tissue filler procedures, with Radiesse, Juvéderm, Restylane, Sculptra and more, in 2017, which was up 3% from the prior year. Soft tissue filler procedures rank second in the top 5 cosmetic minimally-invasive procedures, after botulinum toxin type A injections, according to ASPS. MilfordMD’s Radiant with Radiesse September special, valid through October 12, is 50% off on a 4-syringe Radiesse treatment for jawline contouring or hand rejuvenation. 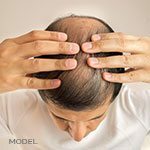 The savings, valued at $1,390, requires a prepayment at the time of scheduling or of gift purchase. “Radiesse, a calcium hydroxylapatite filler, is different than most popular hyaluronic acid fillers, and not only provides immediate volume to an area like the jawline but also continues to work by stimulating natural collagen production. Results can last a year or more,” Dr. Buckley says. MilfordMD clients can save 40% on 3 syringes of Restylane-L dermal filler to rejuvenate the eyes and diminish crow’s feet. The offer, valid through October 12, saves purchasers $835. Prepayment is required. “In trained hands, hyaluronic acid dermal fillers, including Restylane-L, work beautifully to restore a more youthful look to the eyes,” Dr. Buckley says. 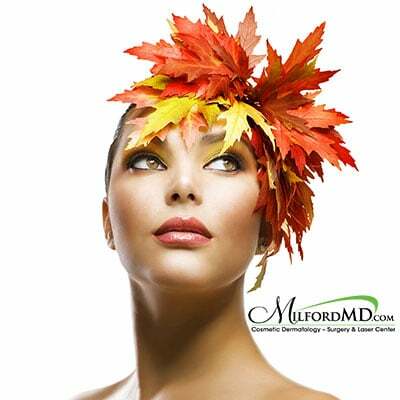 MilfordMD Cosmetic Dermatology Surgery & Laser Center is located at 303 W. Harford Street, Milford, PA 18337. For real patient video testimonials, visit our MilfordMD YouTube channel.